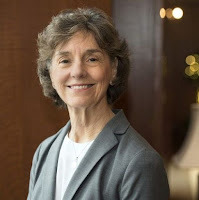 Dr. Rosemary Blieszner is the Dean of the College of Liberal Arts and Human Sciences and is an Alumni Distinguished Professor of Human Development. Her Dean's Roundtable was held in Northern Virginia on November 9 and 10. On Friday afternoon, her group visited the Lab to see and understand how the Thinkabit Lab provides a school and community connection to Virginia Tech's STEM education programs, the computer science and engineering foundations for IoT and Smart Cities initiatives, and our special emphasis on providing equity in opportunities and outreach to diverse thinkers.